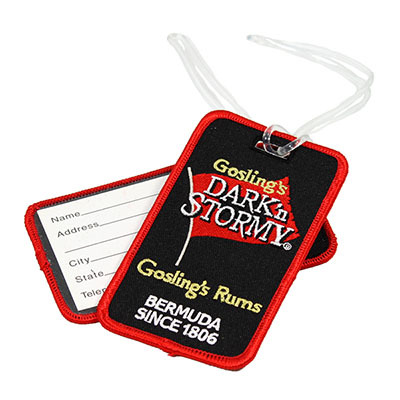 Goslings Dark’n Stormy luggage tag is embroidered on front. Opposite side is a clear plastic area with address card for personalization information. Includes plastic loop ready for attachment.